We have been successfully manufacturing, exporting & supplying all types of Doctoring Rewinding and Winding Rewinding for Inkjet and Batch Printing since last 25 years from Ahmedabad, Gujarat, India. We are winner of 3 times National Award and 2 times International Award for Quality manufacturing. KEW Manufacturers, exports & supplies Doctoring Rewinding with high production output & efficient edge guiding function with more than 4000 installation in place all over India and overseas like Saudi Arabia, UAE, Dubai, Sharjah, South Africa, Nigeria, Ghana, Congo, Kenya, Zambia, Sri Lanka, Bangladesh, Malaysia, Pakistan, Nepal, Russia, Thailand, Indonesia, Brazil, Colombia, Venezuela, Argentina, Mexico, Canada, etc. 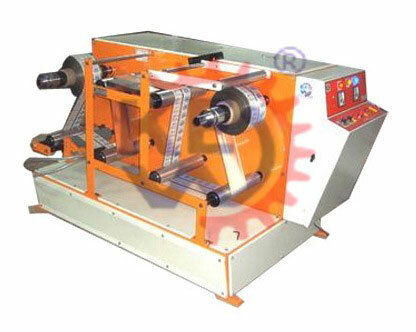 making us the biggest manufacturer, exporter & supplier of Doctoring Rewinding, Inspection Rewinding Machine. 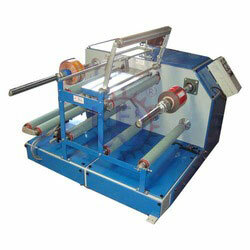 Doctoring Rewinding can also be used as Winder Rewinder for Inkjet or Batch Coding application. Our Doctoring Rewinding is used for all types of Laminates like, Foil, Paper, LDPE, HDPE, PVC, etc... Our Doctoring Rewinding is manufactured with us most precision which ensure zero maintenance up to 10 years. Our Winder Rewinder Machines for Inkjet Printing & Batch Printing are widely used by all Printer Manufacturers all over the world. 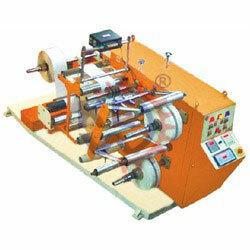 Our Doctoring Rewinding give efficient prompt printing an all types of laminates like, Foil, Paper, LDPE, HDPE, PVC, etc. 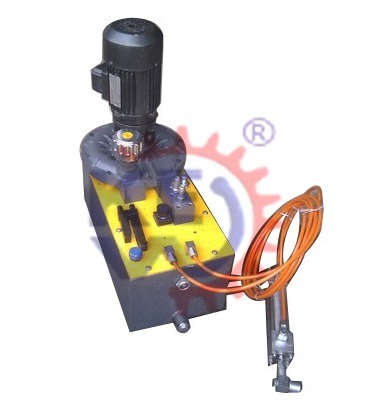 The Batch Coding application for Winder Rewinder Machine is coupled beautifully & synchronized well. In any paper, film and foil conversing industries, the Winder/Rewinder (Doctoring Rewinding) is used widely for on-line printing of Mfg. Dt., Exp. Dt. B. No. etc. 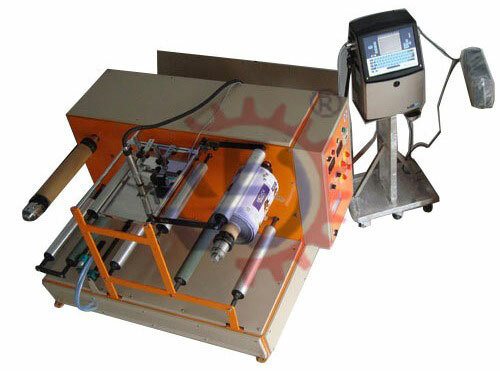 using Ink- jet printer or other contact coding machines from Roll to Roll at high speeds & then these printed roll are used in various packaging machines. ANY MAKE INKJET PRINTER / THERMAL PRINTER CAN BE SUPPLIED ALONG WITH OUR DOCTORING REWINDING like Markem-Imaje, Domino, Videojet, Alphajet, Control Print, Jet Inks, Linx, etc.